The Startup Gallery has been announced as the city’s latest coworking-slash-event space for startups. Its official grand opening is slated for early 2014, but the space is now open for events and desk rental. Currently, the space – situated at Charlottenstrasse near Checkpoint Charlie – houses the Startupbootcamp Berlin programme. 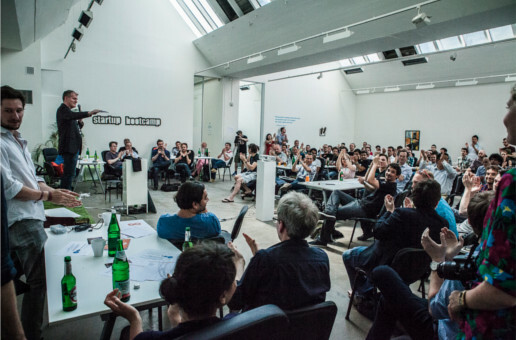 In its expanded reincarnation, The Startup Gallery will offer entrepreneurs various facilities as well as access to its “angels-in-residence”, a group of Berlin investors open to providing advice and introductions. “I’m absolutely convinced by the idea of a creative space where investors can meet startups. I want to ensure that the growing and vital startup scene in Berlin connects to high-quality investors in a space where work, life and Berlin’s cultural scene is in perfect balance. We want to provide a context, not only tables,” said The Startup Gallery’s Managing Director Tomás Daniel Gilgenmann. But it’s not the only working space for startups planned to open in the near future – Microsoft Berlin’s accelerator space on Unter den Linden officially opens this evening and tech hub Factory is opening in a matter of “weeks not months” according to founder Simon Schaefer speaking at TechCrunch Disrupt last week. Additionally, TechHub – a provider of workspace and services for entrepreneurs – has also announced it will be coming to Berlin next year.